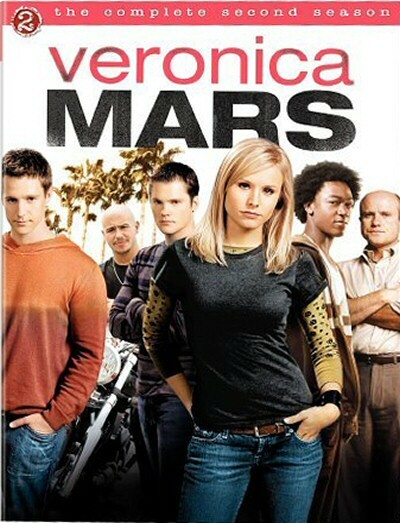 So I'd been hearing a lot about this show called Veronica Mars. They say it's great. It's funny. It's dark. They say it's Buffy meets Twin Peaks. It's Nancy Drew Noir. Joss Whedon says it's his favorite show on television. Okay, 'nuff said. Aaron and I just finished the first season and yes, it is all of these things. In fact, this show ROCKS. However, the ubiquitous THEY neglected to mention that, in addition to all the great-dark-funny-Buffy/Twin Peaksy goodness, it is also completely addictive. The 2nd season comes out on DVD on the 22nd of this month and still I'm counting down the hours. Resistance is futile. I've given up the pretense of being focused on other things and (for the next 14 days) remain intent on finding out who is behind that door. And on that subject I have only one thing to say: It better be Logan. To sum up: Rent it, buy it, put it in your Netflix queue. Do what you have to do. Just watch this show.